Generally the Maid of Honor or Bridesmaids plan the hen’s night. A hen’s night should be a fun and laid back event where the bride feels relaxed and can let loose a little before the big day, getting rid of all that wedding planning stress. It shouldn’t be an opportunity for the hosts to make the bride feel too uncomfortable or embarrassed though. 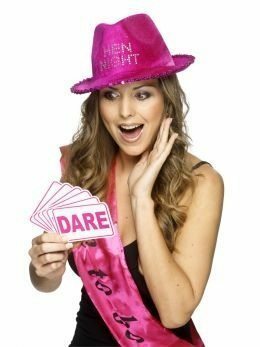 There are some wonderful ideas out there on hen’s nights so we will end this post with some of our favourite games and challenges, but first our 8 steps to an epic hen’s night! 1. Brainstorm- sit down with the planning team and discuss what kind of event your bride likes. Is she a big drinking party girl or does she enjoy relaxing at home with a couple of close friends with a good glass of wine. It’s ok to push the boundaries a little but don’t put the bride too far out of her comfort zone or she won’t enjoy herself. 2. Plan Plan Plan- Don’t wing it, make sure you make the necessary bookings if you are going out for a meal, make sure the places you are going are open and that you have all arrangements in place. 3. Point of difference- Do a bit of research on other hen’s nights but try to make it personal and a little bit different, you don’t want your bride to predict everything you are going to do or it might be a bit boring. 4. Think about the guests- As well as thinking about what your bride likes, think about who you will invite and what they like also. Is her mother, aunties etc expecting to be invited? Maybe you could start with wine and nibbles or a dinner to invite the oldies to and then hit the clubs with the younger crowd for the more rowdy part of the evening. 5. Dress up- You’ve seen them, the brides to be out on the town in their dollar store veil and wedding paraphernalia. It’s fun and harmless and most important, cheap. You can all dress up if you like, look online or go to dollar stores to find all sorts of fun hen’s night’s props.6. Games, Activities & Challenges- This is what makes the night fun and interesting. Plan a few games for everyone and some challenges for the bride to complete. 7. Be responsible- It’s fun to have a few drinks to loosen up and get silly but don’t go too far, you want the awesome night you spent hours planning to be remembered. Make sure you have transport planned out and that everyone gets home safely and be careful not to do anything that will be of detriment to the bride’s character or relationship. 8. Take photos- get someone to document the event and perhaps put together an album for the bride, there will be some very funny memories there! It may not sound very exciting but this can be a really helpful and very hilarious game to play. It is a great warm up game and suitable for any environment. To mix it up a little and if you don’t have a large crowd you can get each guest to write their advice on a piece of paper. The bride then reads it out and has to guess who wrote it. Spilt the group into two and get them to ‘design’ and model a wedding dress out of toilet paper. Have a time limit on this. This is a really fun game for everyone to get involved with. Each person gets a necklace, you know the $1 ones maybe wedding themed. During the night if a person says a ‘banned word’ (the hubby’s name/wedding etc) then they have to give up their necklace to that that caught them. Everyone ends up trying to trick people into saying one of the banned words to collect the most necklaces. A great drinking game when someone starts with “I never…” and then continues with something they’ve never done, if anyone else in the group has done that particular thing they have to drink. Some will try and do this subtly if they don’t want to be caught. e.g. I've never been bungy jumping. Give the bride a list of items she must find by the end of the night, e.g. another woman’s phone number, a condom from a man, a lipstick, a coaster etc. Write a list of challenges for your bride to complete over the course of the evening. e.g. Sing a karaoke in a bar in front of everyone (not a karaoke bar. )/Dance crazy on the tabletop in the middle of a bar/Find a man to carry her from one bar to another. - Cake decorating or cooking classHave fun and happy planning!